Zoho CRM integration for weForms enables better sales-qualified lead generation. Connect once, pass data instantly & start tracing form subscribers from your CRM as they move through the sales funnel. 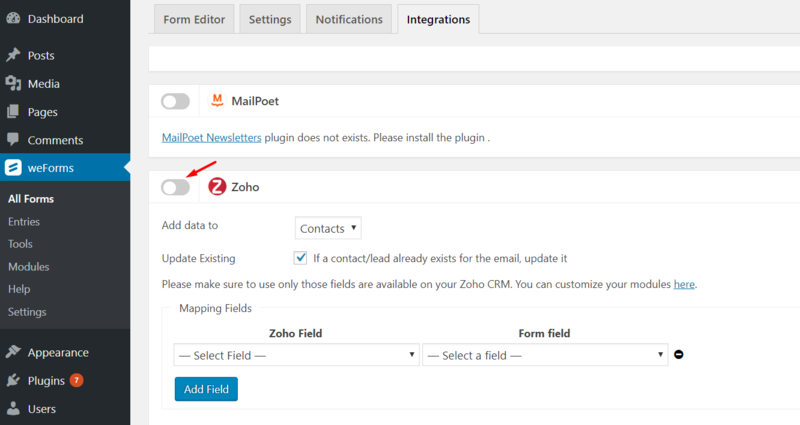 Securely link your Zoho account with weForms with a one time connect. Activate/Deactivate Zoho with just a single click. 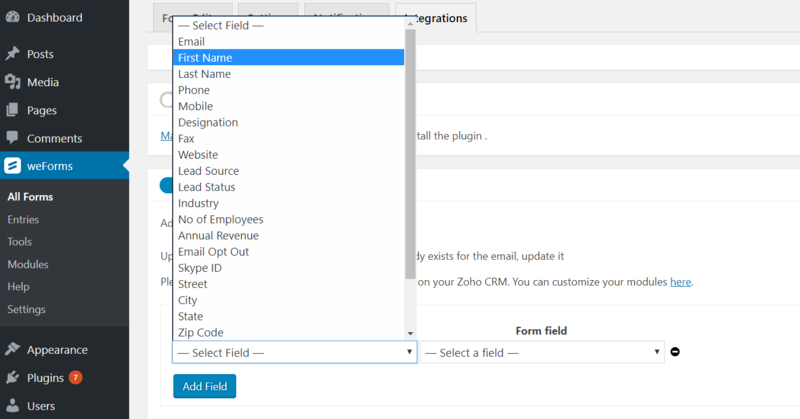 Choose the Zoho list that you want to integrate with forms. Add the data as Contact or Leads for easy categorization. 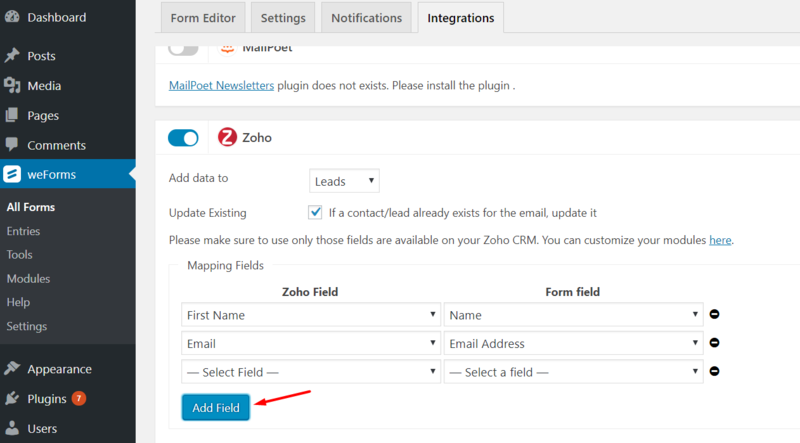 Map form input fields with Zoho required fields easily. Settings applied once to a form automatically applies for all entries reducing the need of redundant work. 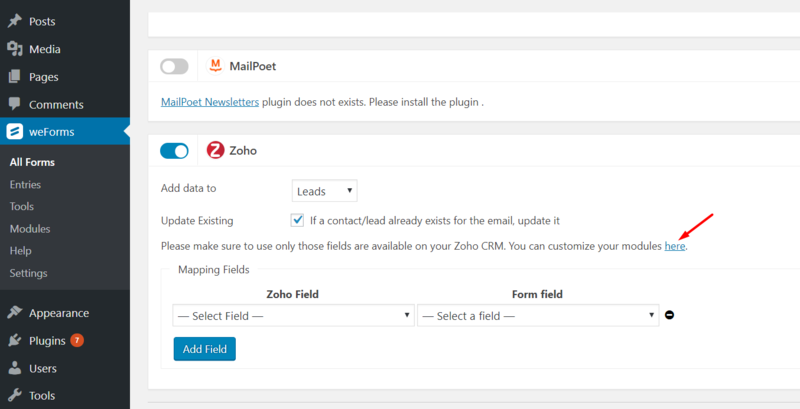 Instantly pass form subscribers to Zoho CRM & start converting them as leads and customers. Zoho CRM is a cloud based solution that helps you track sales & business activities, predict customer behaviour, automate and keep sales processes streamlined. Don’t just submit your forms, integrate Zoho with weForms to interact, create and gain more clients today ! !